Battle of Malta Back in 2018 with €1,000,000 GUARANTEED Prize Pool! More money, new ownership, new location, new dates. Europe’s best low buy-in live poker tournament is back and it’s bigger and better than ever before. The Battle of Malta – awarded “Best Low Buy-in Tournament in Europe” in 2015 – will return in 2018 for its seventh edition. More Money! For the first time the Battle of Malta main event will have a €1,000,000 guaranteed prize pool of! That’s twice the prize pool it used to have! New Ownership – PokerListings has sold the Battle of Malta to the Eden Leisure Group (ELG). The ELG is the owner of the new Casino Malta, the Hotel InterContinental (Malta’s largest 5-star hotel), the Holiday Inn Express and the InterContinental Arena Conference Centre. With its 3000m2 conference area formerly known as the Bay Arena, the Battle of Malta will now have room to grow even further. New Dates – The Battle of Malta will take place October 25-30. Despite the double in guarantee the buy-in remains at €550 but for the first time unlimited re-entries will be available, which will result in an even bigger prize pool. There will also be a range of side events which are still to be announced. 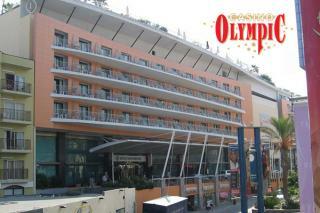 New Location – The next Battle of Malta will take place in the middle of Malta’s entertainment centre in St. Julian’s. The InterContinental Conference Centre features a main area with enough room for over 140 tables, giving it a potential player field of more than 1,000 players every day! Over its six-year existence the BOM has grown every time. Starting out as a 350-player weekend event in 2012 with €150,000 guaranteed it has developed into a massive, week-long poker festival with nine different events. Nadav Lipszyc, a farmer from Israel, won the main event last year and cashed for €200,000 after beating out more than 2,000 entries. PokerListings decided to sell the Battle of Malta to the Eden Leisure Group and the Olympic Entertainment Group (OEG) to give it the chance to grow even further. Not only is the ELG one of the biggest players in the hotel and casino industry in Malta, the OEG is also the owner of more than 100 gaming places in seven different countries. This will give players all over Europe the chance to play live satellites in a lot of different casinos across Italy, the Baltics and other countries. The OEG employs more than 3000 people and generated more than €215 million in revenue last year. Casino Malta owner Kevin De Cesare said, “Being the owner of the hotel, casino and event organization puts us in a unique position to be able to elevate this tournament to the next level. Moving the event to new and larger premises will ensure that the BOM can continue to grow in the years to come and establish Malta as the hottest poker location in Europe for small and mid-stakes players. PokerListings will accompany the new Battle of Malta and provide you with news about the schedule and additional events as soon as possible. The inaugural Battle of Malta took place in 2012 had a single main event with a guarantee of €150,000. It attracted 347 players. 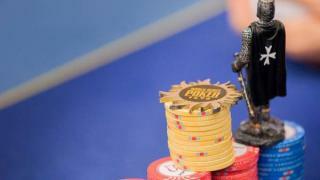 Over the years, the main event has grown into the largest standalone tournament in Europe with a buy-in of under $2,000. In 2017 the winner took home €50,000 more than the original guarantee. The guarantee had been raised up to €500,000 and will reach €1,000,000 for the first time in 2018. 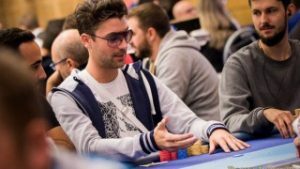 While there was just one side event in 2012 (the Siege of Malta Second Chance) there were nine events in 2017 including a Ladies event, a High Roller event, a PLO event and several Hold’em tournaments. The Battle of Malta also features daily parties, free casino buffets for the players and, most of all, the chance to escape the early days of winter in Europe and spend them on a sunny island in the Mediterranean while simultaneously having the chance to win life-changing money playing cards.